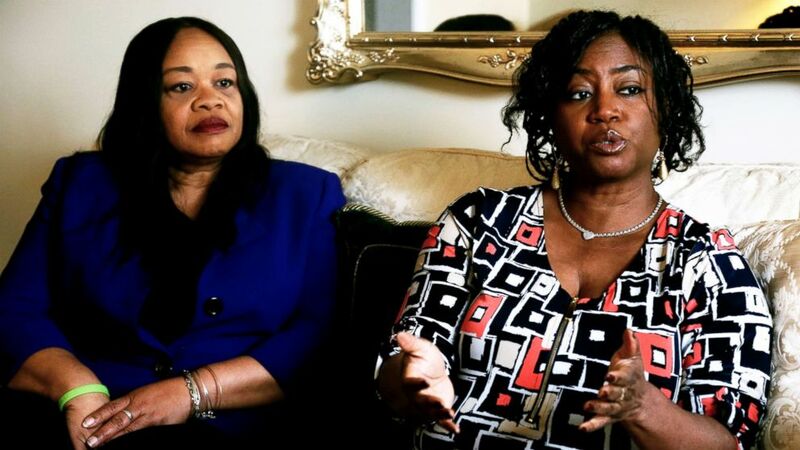 Pennsylvania golf course manager called 911 on group of black women players. camera (Jacqueline Larma/AP) Sandra Thompson, right, speaks alongside Sandra Harrison, both golfers and members of a group of local women known as Sisters in the Fairway, during an interview on April 24, 2018, in York, Pa.
A course manager at a Pennsylvania golf course who was allegedly upset with a group of black female golfers told a 911 dispatcher that one of the women wasn't wielding weapons "other than her mouth." Steve Chronister, a manager of the Grandview Golf Course in Dover Township, made the comment on April 21 when he called 911 to complain that the women were playing golf too slowly, disobeying course rules and holding other duffers up. "We have a tough situation here with a group of golfers that decides they don't want to abide by the rules," Chronister said in the 911 call obtained by the York Daily Record newspaper. 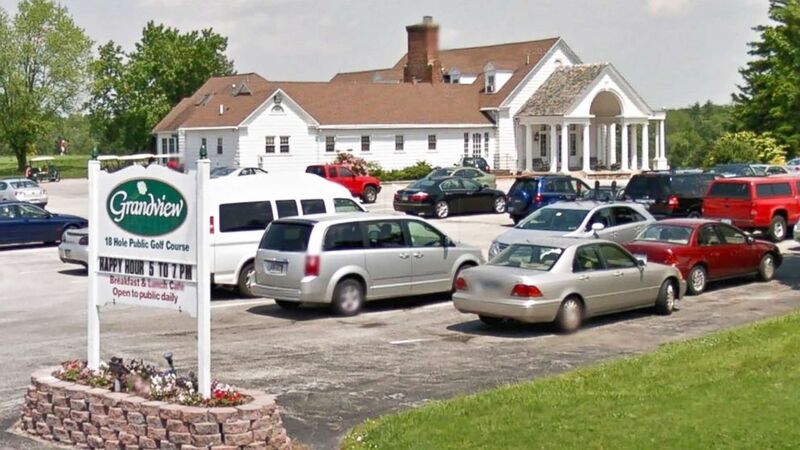 (Google) Grandview Golf Club in York, Pa., is pictured in this undated image from Google. When the 911 dispatcher asked if the golfers had any weapons, Chronister said, "Other than her mouth there's not any weapons." Chronister was apparently referring to Sandra Thompson, an attorney and president of the York County NAACP. "We weren't threatening or being argumentative," Thompson told ABC News today. "But what he was most threatened by was the fact that I was willing to speak up." Thompson said she and four other black women golfers were on the second hole when Chronister confronted them and accused them of playing too slowly. She described Chronister as being "aggressive and angry." "I tried to explain to him that there was an hour delay, that it wasn't us, that we were also delayed in our tee time," Thompson said. "I tried to explain to him that he was accusing us of doing something that we weren't doing and interfering with our enjoyment of the game." That's when Chronister, a former York County supervisor, called the police -- twice. "And they're telling me that ... I can't tell them what they have to do as far as the rules," he told the dispatcher, according to the 911 tape. "And they're just like, 'We're going to play this course. We don't care what you say.'" ABC News reached out to Chronister, whose family members purchased the golf course in 2017, for comment. He did not immediately respond. (Jacqueline Larma/AP) Sandra Thompson, right, speaks alongside Sandra Harrison, both golfers and members of a group of local women known as Sisters in the Fairway, during an interview on April 24, 2018, in York, Pa.
Owners of the golf course released a statement on April 22, saying, "We are disappointed that this situation occurred and regret that our members were made to feel uncomfortable in any way." Thompson, who has been playing golf for seven years, said her group calls itself "Sisters in the Fairway" and plays at different golf courses in the area. All are members of the Grandview Golf Course, a semi-private club. "I said, 'We are the only African-American women's group on this course and you're only coming to us and blaming us and we're not the cause of the delay,'" Thompson said she told Chronister. "We've never had a problem like this before." She said Chronister's daughter-in-law, who is one of the owners, called her the day after the incident and "apologized as a woman golfer" and Thompson said she initially accepted her apology. But then the owners released a second statement on April 23, saying, "During the second conversation we asked the members to leave as per our policy noted on the scorecard, voices escalated and police were called to ensure an amicable resolution." "So she basically retracted her statement and doubled down on their false accusations," Thompson said of Chronister's daughter-in-law. The golf course incident has prompted an investigation by the Pennsylvania Human Relations Commission which plans to hold a yet-to-be-scheduled public hearing, Thompson said. Asked if she and her golfing group plans to take legal action, Thompson would only tell ABC News, "We are still looking at all those options."